In The Doldrums of Winter? What Better Time to Talk Tiki! We are in the depths of a Winter that has really been hitting hard, especially for my friends in the Midwest and East Coast. So what better time to talk about… Tiki drinks!? Well, yes, actually. The culture of Tiki is all about aspiring to tropical Polynesia (a fantasy one, at that)—not actually being there. So during these cold, grey months, Tiki should be on our minds more than ever. With that mindset. 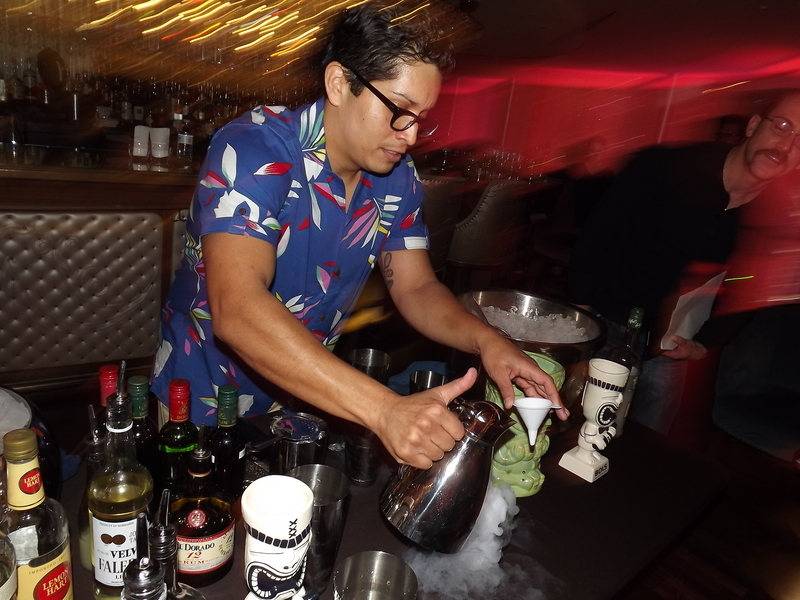 Los Angeles-based bar consultant Marcos Tello (Tello Demarest Liquid Assets) held a seminar last month for many of Vegas’ top bartenders on the art of Tiki cocktails at the Cosmopolitan Resort’s Chandelier Bar. Tello’s seminar—motivated by a US Bartenders’ Guild Tiki cocktail contest coming in February--offered fascinating perspective on the strong, sweet and often silly cocktails. • Tiki drinks are actually evolved from the very old tradition of punches, which morphed from punchbowl recipes to single-glass drinks during the 19th century. • There are two acknowledged godfathers of Tiki cocktails, Ernest Raymond Beaumont Gantt (a.k.a. Donn Beach) and Victor J. Bergeron Jr. (a.k.a. Trader Vic), both of whom launched their ventures in 1934. • According to Tello, Gantt was involved in rum-running during Prohibition, using a family yacht between his home state Louisiana and Jamaica—where he first tasted a cocktail that would later obsess him, the Planter’s Punch. He traveled the South Pacific during the same era. • Bergeron, by contrast, was inspired by a trip to Cuba, where his drink of fascination was the original Daquiri made at El Floridita. Subsequently, he visited pre-statehood Hawaii, where his own Polynesian fixation took hold and he renamed his Oakland, CA bar Trader Vic’s. • Gantt/Beach, who opened the Don The Beachcomber bar in Hollywood after serving as a consultant on some Polynesian-set films, based his drinks around combining different rums, a practice he learned during Prohibition, when cheaper spirits could be improved by blending. He also adopted the Carribbean mixing maxim “one of sour, two of sweet, three of strong and four of weak” to multiple variations and restricted his original Zombie cocktails to two per person. • Bergeron’s most famous drink the Mai Tai (Beach also claimed it) is “basically an almond Daquiri, souped-up with Curaçao” says Tello. • Both bartenders set the Tiki template of never eliminating an ingredient, but always adding more. Combing fruits and nuts—that is, fruit-based and nut/seed/kernel-based flavors or spirits. For example, Almond-based Orgeat with orange Curaçao, Almond/clove/vanilla-based Velvet Falernum with Passionfruit. Coffee and cacao are also in the seed category. Combining multiple spirits. 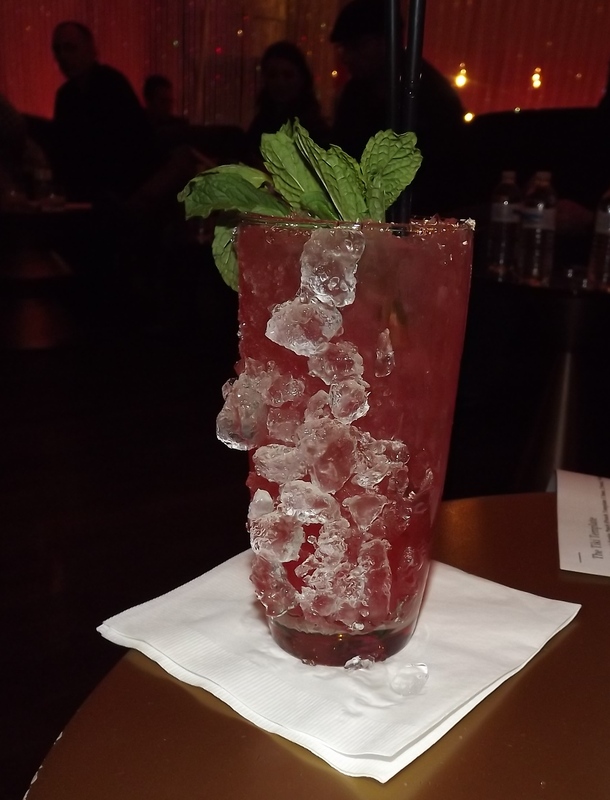 Beach’s Zombie for example contains light Puerto Rican rum, smoky Demarara rum and herbaceous Agricole rum. “One rum can never do what three can do,” says Tello. Include an amusing garnish and/or glassware. “Tiki has a sense of humor,” he says. • Tiki drinks don’t need to be limited to tropical flavors, nor even to containing rum, says Tello, as long as the guidelines above are followed. “There are no limits,” he says.